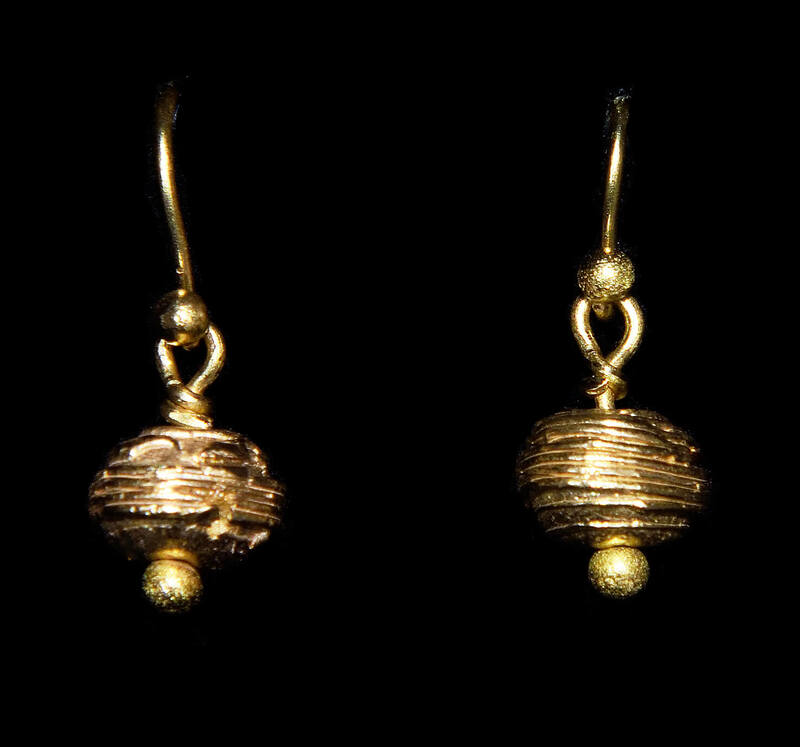 Home / Earrings / Gold Earrings / Handmade 22ct Gold PMC Beads on Wires. Handmade 22ct Gold PMC Beads on Wires. Hand made 22ct gold PMC beads wrapped in wire, with a tiny gold bead on the bottom. The earrings are on hooks. Overall drop 12mm.